A meal replacement can be very useful when you lack the time or opportunity to prepare a nutritious meal or if you want to lose weight. 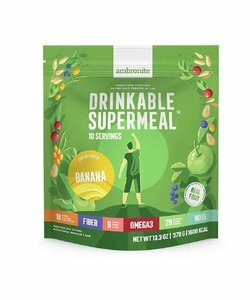 You can buy several types of meal replacement powders at LiveHelfi which fit into a ketogenic or paleo diet. 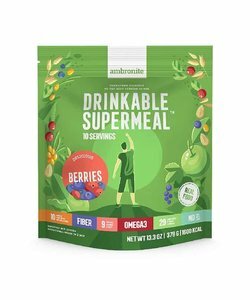 The Ambronite meal replacement shake is designed as a quick meal replacement, easy for when you are on the road or don't have time to prepare a full meal. It is rich in vitamins and minerals. The Ambronite meal replacement shake is made from organic, vegetarian ingredients to maximise the number of nutrients and antioxidant in a single meal. Ambronite meal replacements are both made using freeze-dried, whole ingredients to ensure that nutrients remain intact and bioavailable. The meal shakes are easy to make with water and provide a quick, drinkable meal. Additionally, these shakes are satiating, because they contain a lot of protein and fat and little carbohydrates.